A look back at all the 4096-byte games that I created for the Java 4K Game Programming Contest. An NES emulator plugin that plays Castlevania. Racetracks from the classic SNES game rendered like they’ve never been seen before. An arcade-themed comic that investigates what distinguishes justified belief from opinion. An exploration of video game nomenclature. An upgraded bot that plays Nintendo Tetris without disabling gravity. An NES emulator plugin that plays Duck Hunt. An NES emulator plugin that plays against the Spot AI. An NES emulator plugin that plays Hatris. An NES emulator plugin that plays Magic Jewerly. A Famicom emulator plugin that plays Puyo Puyo. An NES emulator plugin that plays Dr. Mario. A cycle-accurate NES/Famicom emulator and NSF player written in Java that can rewind time. An exploration of the deceptively simple mechanics of Nintendo Tetris and an AI that exploits them. An algorithm that converts pixels in a source image into Tetris tiles through gameplay. A Java port of NES Jackal with enhanced graphics. A comic featuring Charles Babbage, the originator of programmable computers. Illustrated instructions describing how to construct an icosahedron out of pencils and tape. A game that requires the player to escape imprisonment by exploiting the surroundings. A BASIC program featured in a 1985 issue of MAD Magazine that renders Alfred E. Neuman. A discussion of retrogames and a stick-figure demake of Super Mario Bros.
A recreation of Eric Graham’s Amiga Juggler from 1986 developed from first principles. An infinite labyrinth generated by a ray tracer developed from first principles. A Java port of Ms. Pac-Man with enhanced graphics. A stick-figure demake of NES Castlevania featuring enhanced music and sound effects. Post-it Notes artwork pasted to my office wall. An overhead run'n gun-style shoot-'em-up video game infested with insects. An investigation of the innerworkings of Řrřola’s award-winning 256-byte intro. A recreation of John Amanatides and Don P. Mitchell's 1989 short film developed from first principles. A demake of David Crane’s classic Atari 2600 video game that’s even more blocky. A demake of Rob Fulop’s classic Atari 2600 video game that’s even more blocky. An exploration of algebraic expressions that contain 1, 3, 4 and 6 and equal 24. Discussion and a C# port of Mike Mayfield’s Star Trek text game from 1971. A behavioral design pattern that solves many of the problems that plague GUI developers. An interactive simulation of an incompressible, homogenous fluid. An attempt at creating a Game Boy emulator using C#. A C# implementation of the classic tile-matching puzzle video game. An in-depth exploration of the third film in the classic Christopher Reeve tetralogy. An explanation of one of the winning entries of the 19th International Obfusced C Code Contest. Java and C# templates that provide a platform for game development. An AI written in C# that increases in difficulty after each game won by the human opponent. The winning solution to the Dennis Shasha’s book-length puzzle contest. A 2D horizontal-scrolling shooter made entirely of simple geometric shapes. A text adventure with a point-and-click user interface. Discussions of games, design patterns and delegates published in Java Developer’s Journal. A way to play tic-tac-toe when a partner's not available. A hardware description language and simulator for building relay-switching circuits. A brief interaction with Apple co-founder Stephen Wozniak at one of his book signings. A side-scrolling one-on-one fighting game featuring anthropomorphic hot dogs and sausages. 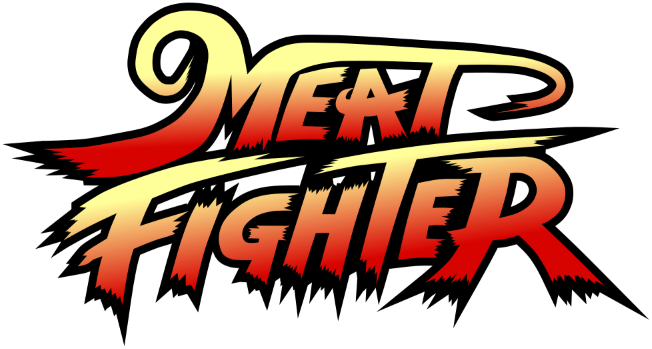 Meat Fighter and its architect is not affiliated with or endorsed by Capcom Co., Ltd. or Capcom U.S.A., Inc. in any way. This site features fair use parodic imitations designed to “conjure up” some of their original work.